In a small bowl or a 2-cup (500 ml) airtight container, combine the rolled oats, soy beverage, currants and cinnamon. Cover and refrigerate for 30 minutes or overnight, until the oats have plumped up (see note). Just before serving, stir in the yogurt, pumpkin seeds and berries and drizzle with maple syrup or honey if desired. 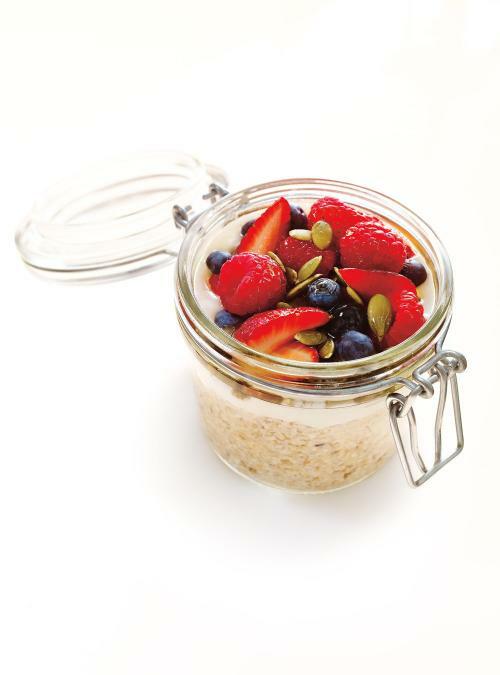 Overnight Oats or Bircher Muesli was developed at the turn of the last century by Maximilian Bircher-Benner, a Swiss doctor, and is still a very popular breakfast throughout Switzerland and Germany. The oats need to be soaked before being eaten. 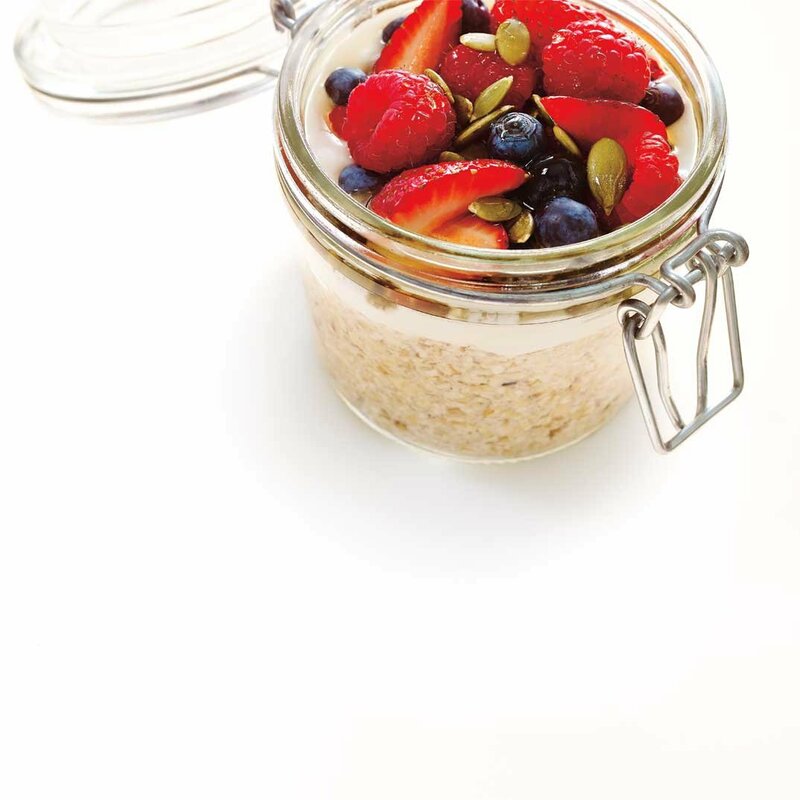 During the process, the oats absorb the liquid and plump up into a hearty, thickened porridge. This breakfast can be made up to 48 hours in advance.